Can Tenants Going South Be Turned Around? 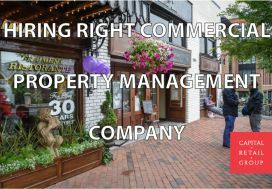 – We signed as a new client last week, a very nice ownership group with a problem retail tenant. As they described the situation, I was not very surprised, having heard the story many times before as a property manager. The tenant said they’d pay last week, but they did not. The story keeps changing, and the tenant now owes $60,000 in back rent. The landlord is hoping we can get the tenant back on track. Typically retailers who are not paying rent have serious business issues and will most likely not become current, I explained. The best we can do is take action to facilitate their removal from the property as soon as possible. However, if there is a chance the tenant might pay the past due rent and become current, it will be because the Landlord has resorted to hiring a professional property manager who will hold the tenant accountable. 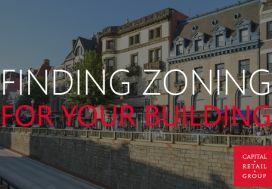 We work closely with several Washington DC law firms who have real estate litigation attorneys including Greenstein, Delorme & Luchs and Veritas . 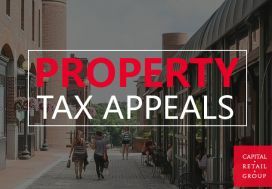 We reduce legal costs for our clients by absorbing the time associated with tenant negotiations and letting the attorneys focus on the actual litigation work including the consent judgment praecipe. As property managers, we form relationships with our tenants based on professional courtesy, respect, and fairness. In return, we hold the tenant accountable to the terms of the lease. This means enforcing the agreement on a monthly basis, charging a late fee if the rent is a day late, or serving notice if tenants are not compliant with any other substantial lease obligation. A bad tenant (or one close to going bad) will work every angle possible with a kind hearted Landlord, but they realize very quickly that such tactics are futile against a seasoned property manager. Many would say that we are paid to be “the bad guy”, but we do not see it that way. We are here to have the hard conversations and take the actions necessary to maintain a solid landlord/tenant relationship. Once a tenant knows exactly where they stand and just how we enforce the lease agreement, we learn exactly what kind of tenant we are dealing with. During this economic slowdown smaller retailers have struggled and the chances of collecting back rent are not good, which is why we recommend legal action on any unpaid balance older than 30 days. In our experience, Landlords have the best chance of recouping all or a portion of their lost rent when action is started swiftly, within the month that is unpaid. A firm but fair approach will keep good tenants good, and bad tenants packing.